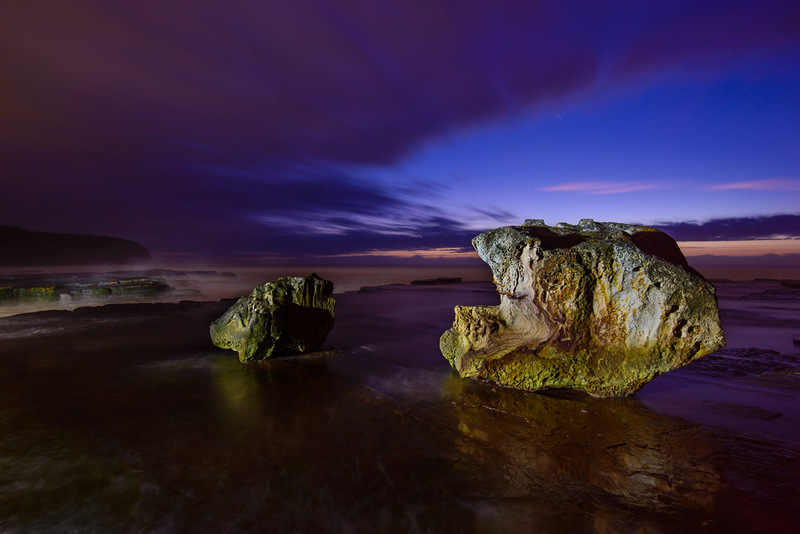 Headed to Turimetta to join the FOCUS crew for another dawn seascape shoot. I’d never shot at this location before (South Turimetta beach) and I decided to head out there early so I could try some pre dawn light painting along the coast. I arrived at the ungodly hour of 4:30AM (almost two and a half hours before sunrise) so it was extremely dark along the coast with minimal light pollution. 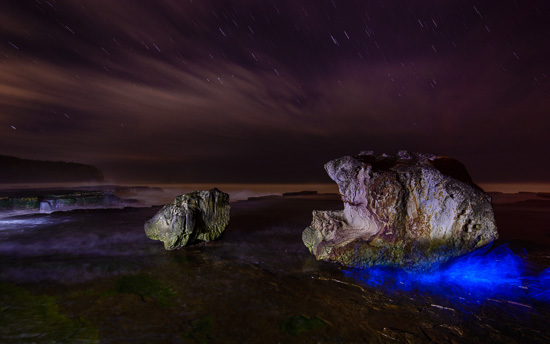 Luckily I had my new uber torch (a small 860 lumen hand torch – which I’ll review soon) which allowed me to check out the coastline looking for some likely light painting candidates. The sea was really rough with ferocious waves constantly battering the coast and constant wet spray in the air. 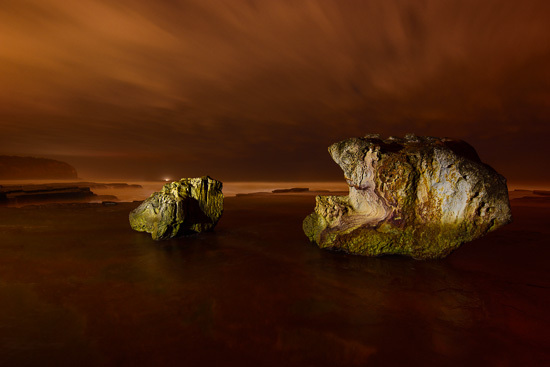 I found these two very nice looking rocks with shallow water at their base and setup for a few hours of light painting.